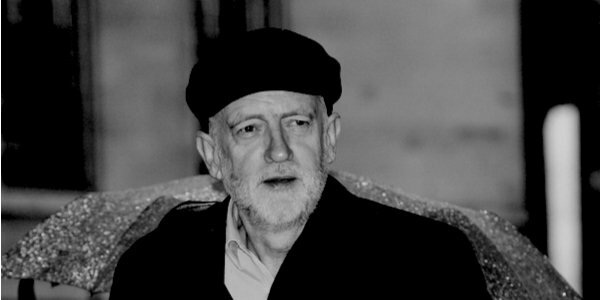 There can be no doubt in anybody’s mind that Jeremy Corbyn is both a patriot and a nationalist. Unfortunately for us, Corbyn is a Russian patriot and a Palestinian nationalist. His nationalism and patriotism have been a cause of personal embarrassment of late. Here I look at Corbyn’s patriotism. The active component of a Russian weapon of mass destruction was set off in the UK. The chief suspect was Russia. Corbyn was put in the awkward position of defending his beloved Motherland. While denouncing the act, Corbyn has not denounced the actors. Corbyn’s followers, in their role always to work towards the leader, got the hint. Online, they have been espousing conspiracy theories suggesting, without actually stating, that this was a ‘false-flag’ operation designed by her enemies to discredit Mother Russia. What, exactly, is the standard of proof necessary to convince Corbyn and his disciples? On the balance of probabilities it was the Russian state that tried to murder at least two people of Russian origin on British soil. That seems insufficient to satisfy the Corbyn crowd. Beyond a reasonable doubt, perhaps? None has been raised by the Corbynistas. There have, however, been unreasonable doubts bandied around by the comrades, based on secret plots and conspiracies. The proximity of Porton Down to Salisbury compared with Moscow has been raised. The Russian Embassy is also closer to Salisbury than the Kremlin, but that is ignored. Russian state television more or less admitted that this was an execution planned in Moscow to kill a traitor to the Motherland. That is not enough for Corbyn and his followers. Corbyn is obliged to respond to Prime Ministerial statements. He cannot remain silent on the back benches as he did when Russia used the active component of another weapon of mass destruction to murder Alexander Litvinenko. He tries to be the wise elder statesman, asking increasingly irrelevant questions and waiting for ‘all the facts’ before making a considered view. Wise? When every pronouncement is informed by a dislike of free markets, the USA, NATO, and Israel? Hardly. Elder? Yes. Statesman? Sorry, Jeremy. It is obvious that Corbyn is unable to face the objective reality that his most favoured nation has yet again done something awful to top its war crimes against Syrian civilians. So he has to waffle on, making the absurd demand that Russia get involved in investigating their own criminal act. As if the Russians would actually turn around and say ‘Yup, that was us’. Get real, Jezza . . . The Russian state is arguably the only major country to have sent out agents to commit killings and then conceal their acts. If the USA, China, France or the UK have also successfully performed covert killings, this just demonstrates that the secret agents of Corbyn’s favourite country are actually prize bunglers. They keep getting caught out. The Kremlin keeps needing people like Corbyn, who unceasingly works towards Russia, to muddy the waters and sow unnecessary confusion. Russia has form on issuing denials when caught doing something horrid. The Katyn Wood massacre of Polish officers and intellectuals, the shooting down of flight KAL 007, and the Chernobyl disaster were all denied by Russia, only for it to own up later. Corbyn does not even enjoy the support of his shadow cabinet colleagues for his position on Russia, some of whom dissociate themselves from this unofficial Kremlin spokesman and Putin’s parliamentary cheerleader-in-chief. This is an absurd state of affairs where a party dedicated to collectivism does not have a shadow cabinet with a collective responsibility on a matter of national security, and this is only because Russia, the greatest threat to peace in Europe, is involved. If the attack had been performed by Saudi Arabia or Israel there would have been no problem. But they haven’t. Russia has. Labour look ridiculous over this. It is possible to see Putin’s lips move when Corbyn speaks. Labour MPs could do much better than to have this Russian puppet as their leader. Like the citizens of a Communist dictatorship, they are stuck with him, and the borders are heavily patrolled. In Parliament, they may be called Her Majesty’s Most Loyal Opposition, but they are definitely not on this vital national issue.